In 1869 the clipper ship Blue Jacket embarked 71 passengers and crew and departed Lyttelton, New Zealand bound for Liverpool. On March 9, off the coast of the Falkland Islands, the ship caught fire and was abandoned. A total of 39 survivors were picked up with 36 having spent a week adrift and 3 spending 3 weeks subject to the vagaries of the South Atlantic. While March 9th may have signaled the end of the Blue Jacket’s voyage, it marked the beginning of a voyage of a different sort for her figurehead. For nearly 20 months the Blue Jacket’s figurehead floated with the currents and on December 8, 1871 washed ashore on Rottnest Island near Perth, Australia – 6,000 miles from where the Blue Jacket was abandoned. Negligence (n.) – the defendant had a duty to the plaintiff, the defendant breached that duty by failing to conform to the required standard of conduct, the defendant’s negligent conduct was the cause of the harm to the plaintiff, and the plaintiff was, in fact, harmed or damaged. On February 22, 1906, the S/V Speke ran aground off Phillip Island south of Melbourne, Australia due to the negligence of her captain in properly navigating the ship. Speke was the second-largest ship-rigged vessel in existence at the time of her destruction and was bested in size only by her sister ship Bragdo. The vessels were built in Southampton in 1891 and Speke plied the South America-Australia trade route. Thankfully only one crew member perished as a result of the catastrophe. 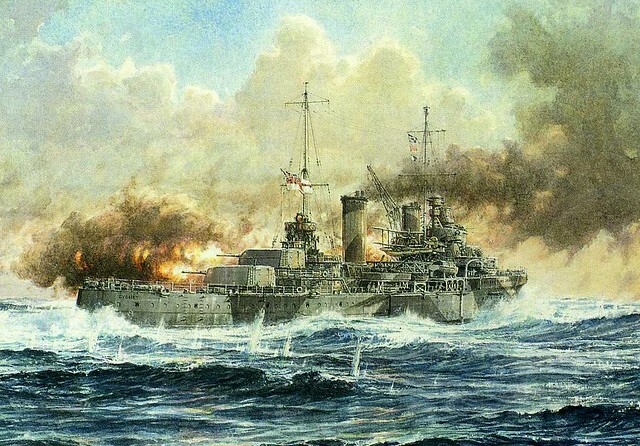 German naval strategy during World War II was similar to that employed in World War I – strangle the United Kingdom by sinking or disrupting its merchant shipping. In addition to the ubiquitous U-boat, the Kriegsmarine utilized surface warships and camouflaged merchant vessels to target Allied shipping in all theaters of the war. One such camouflaged merchant vessel was the HSK Kormoran. Formerly the merchantman Steiermark, the ship was converted in 1940 to carry mines and hidden armaments as well as two float planes. Departing Germany in December 1940, Kormoran captured or sunk 11 merchant ships as it cruised through the Atlantic and Indian Oceans. The Kormoran’s luck ran out, though, when it happened upon the Australian cruiser HMAS Sydney on November 19, 1941. Sydney was returning to port from escorting a troopship and decided to investigate what appeared to be a suspicious vessel. The two ships exchanged signals until the Kormoran, posing as the Dutch ship Straat Malaka, failed to identify itself by the Straat Malaka’s secondary secret signal. Realizing he could no longer keep up the ruse, Kormoran’s captain ordered the Dutch ensign struck, raised the German naval ensign and opened fire. The two ships engaged in their deadly duel for about an hour at which point the heavily damaged Sydney, struck by hundreds of rounds of 5.9 inch shells as well as several torpedoes, drifted off to the southwest. The Sydney disappeared with its entire crew complement of 645 officers and sailors. The Kormoran, irreparably damaged by Sydney’s broadsides, was ordered scuttled by her captain and the crew took to the lifeboats. Only 317 of the Kormoran’s 400 man crew were rescued. While Sydney’s sinking of the Kormoran was a pyrrhic victory for her crew, it helped eliminate the threat of continued predation on Allied merchant shipping and the lives of Sydney’s crew were not lost in vain. On March 12, 2008, searchers from the Finding Sydney Foundation located the wreck of the Kormoran in 2,500 meters of water. Five days later, the wreck of the Sydney was finally located approximately 11 miles from the Kormoran. Today, a new HMAS Sydney proudly serves the Royal Australian Navy and its replacement will be christened with the same name when it enters service in 2017. Launched in 1993, HMB Endeavour is a faithful recreation of the bark used by Lieutenant James Cook on his expedition to Australia and New Zealand from 1768 – 1771. Cook and his crew explored various parts of Australia and New Zealand, gave Botany Bay its name and even ran aground on the Great Barrier Reef. Returning home a hero, Cook led two more expeditions of discovery before his death at the hands of natives in the Hawaiian Islands. The Endeavour continued in his majesty’s service as a troop transport before being sold into private hands. Renamed Lord Sandwich the bark was eventually scuttled as a blockship off Providence, Rhode Island during the American Revolution. Having sailed over 170,000 nautical miles and visited 29 countries, the bark now calls the Australian National Maritime Museum home. Located in Sydney, the Australian National Maritime Museum has more than a half dozen museum ships including the patrol vessel HMAS Advance, submarine HMAS Onslow, destroyer HMAS Vampire, and barque James Craig. The bark is open for tours and more information can be found here. The first of the Royal Australian Navy’s new Landing Helicopter Dock ships is ~1/3 of its way to Australia. 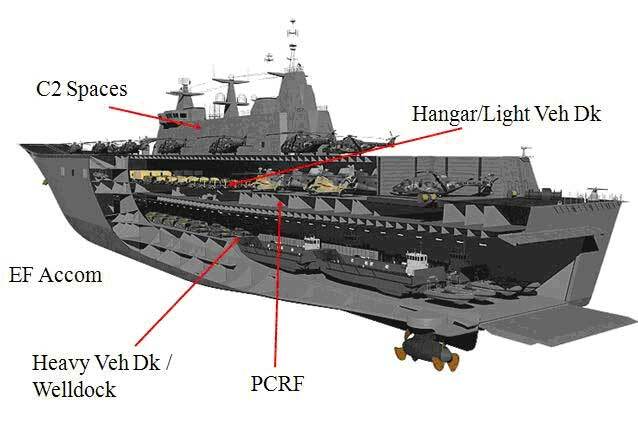 Launched in February 2011, the LHD Canberra is the first of two Canberra class Landing Helicopter Dock ships being built for the Royal Australian Navy. The ships are based on the design of Spain’s SPS Juan Carlos I which entered service in the Spanish Navy in 2010. 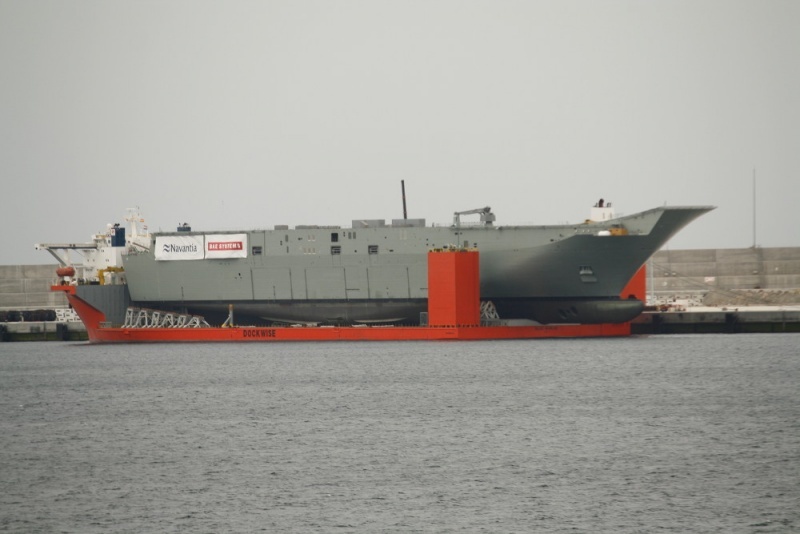 The hull and flight deck were built in a Spanish shipyard and are being transported to Australia via heavy lift ship. The same lift ship was used to transport the USS Cole back to the United States after it was bombed by Islamic fundamentalists on October 12, 2000. Upon arrival in Australia in November, the Canberra’s final fitting out will be performed by BAE Systems. Once commissioned in 2014, the Canberra will be the largest warship to ever serve in the Royal Australian Navy. Depending upon mission needs, the Canberra class LHDs can accomodate up to 1,000 troops and 110 vehicles in its multiple decks. The Canberra’s welldeck can hold and launch 4 landing craft and RHIBs. Air capabilities include 6 medium helicopter launch spaces and room for 26 medium-helicopters (up to CH-47 Chinook size) in its hanger and light vehicle deck. The ship is approximately the same size as the United States’ Wasp class amphibious assault ships and as such could most likely operate V-22 Ospreys as well as the F-35B if/when it becomes available. Additionally, the ship was designed with the lightest draft possible so as to be able to operate in the littorals and secondary ports. The addition of the Canberra and her sister ship Adelaide in 2015 will give the Royal Australian Navy further power projection capabilities and help maintain the balance of power in a region increasingly under the influence of Chinese autocracy. Australian shipwreck diver Hugh Edwards believes he has located the wreck of the 18th century Dutch East Indiaman Aagtekerke in waters off the Abrolhos Islands in Western Australia. Lost in 1726, the Aagtekerke was en route from Africa to Batavia in the Dutch East Indies (now Jakarta, Indonesia). This isn’t the first wreck Edwards has discovered in his 50+ year diving career. In 1963, Edwards located the Dutch East Indiaman Batavia which had wrecked on its maiden voyage in 1629. Over a period of four years from 1970 – 1974, marine archaeologists worked to recover and preserve artifacts from the Batavia and they are now housed in the Western Australia Museum in Perth. The author intends to make a site visit to the museum in the near future and will post his findings when he does so. 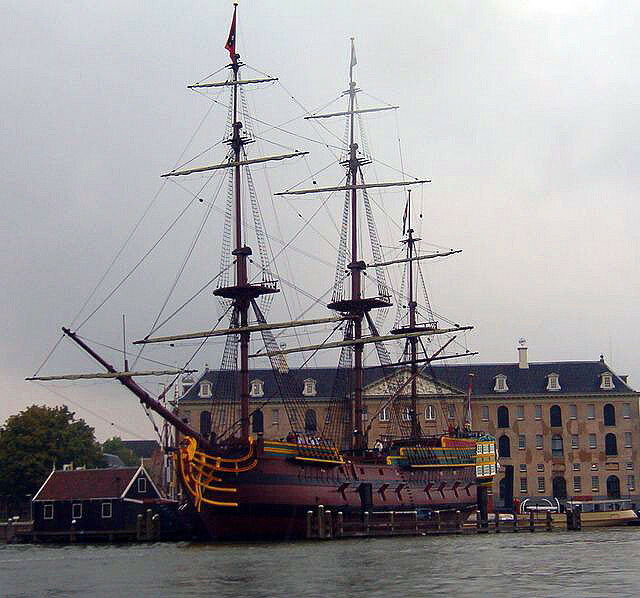 Additionally, a replica of the Batavia serves as a museum ship in Leylstad, Netherlands. In the same year Edwards found the Batavia, he located another Dutch East Indiaman, the Zeewyck, which had sunk in 1727. In subsequent trips to the wreck site Edwards discovered several artifacts including an elephant tusk that didn’t coincide with the historical record for the Zeewyck. After nearly 50 years of piecing together various clues, Edwards has come to the conclusion that the Zeewyck and the Aagtekerke sank within 300 meters of one another and their debris field intermixed. Translated journal entries from survivors of the Zeewyck indicate that they had come across debris from another shipwreck when their own ship sank and the presence of the elephant tusk (the Aagtekerke was carrying 214 tusks and the Zeewyck none) seem to confirm his thesis. Edwards is continuing to explore the site and is hoping to locate the ~30,000 silver coins believed to be among the Aagtekerke’s cargo. Under Australian law, any artifacts raised from the site would belong to the Australian government, however, under generally recognized principles of admiralty/salvage law, Edwards might be entitled to a salvage award for any artifacts he recovers. Today the United Kingdom, along with Australia, Canada and New Zealand, remembers the sacrifices of their merchant marine from World War One to the present day. 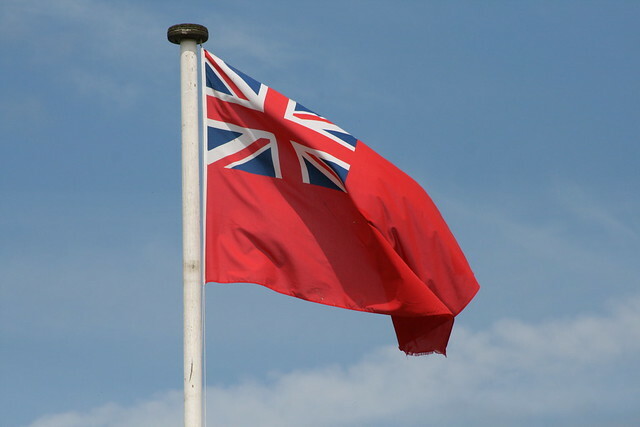 The Merchant Navy has served in WWI, WWI, Korea, the Suez Crisis, the Falklands War, and Gulf Wars I & II. More than 14,500 seamen lost their lives in World War I and another 30,000 perished during World War II. September 3rd was chosen as the date to honor the Merchant Navy because September 3, 1939 marked the first loss of British shipping in World War 2 – the SS Athenia. Two shipwrecks, SS Storaa and M/V Atlantic Conveyor, have subsequently been designated protected places under the UK Protection of Military Remains Act. Storaa was lost in World War One to a German u-boat while Atlantic Conveyor is the most recent Merchant Navy loss, having been sunk while supporting British efforts to free the Falkland Islands from their Argentinian invaders.